Mellow yellow this outfit is not, but we all know that is perfectly fine with me. A vibrant shade of yellow is just what the doctor ordered to cure gloomy and rainy days in Los Angeles. Aside from the color, this style of skirt is a must-have in my wardrobe. 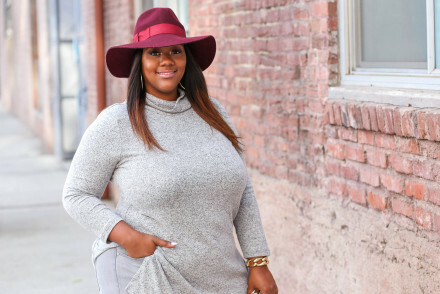 I love midi pencil skirts because I find them to be very flattering for my shape and for many others. 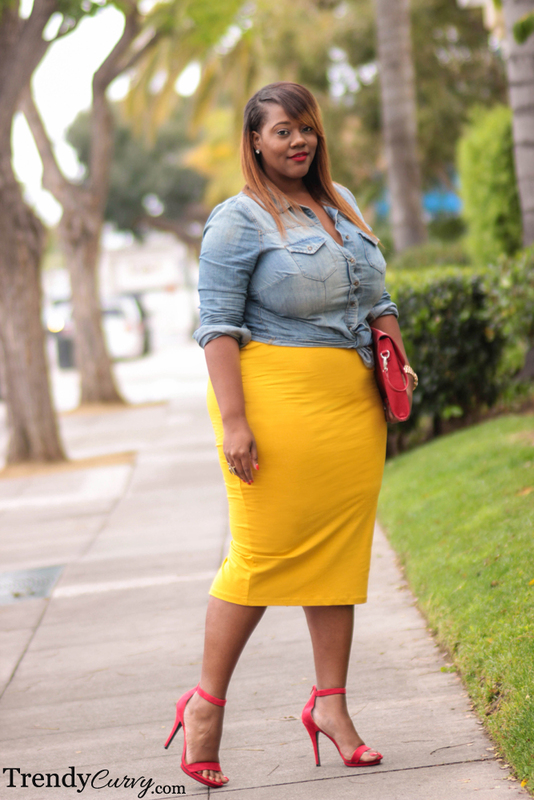 Whether a pear shape, apple shape or other, these skirts can fit any body type. Simply pair it with a top that feels comfortable for you and you will have the foundation to a great look. Chambray shirts are also a good staple to have because of their versatility. I have worn this shirt across all seasons and in many different variations. In this case, it was the perfect complement for this casual look. Add a pop of color with red heels and red lipstick and you’re good to go! I love your outfits please tell me where I can buy the skirt.? Thank you! The outfit details are listed at the bottom of the post but the skirt may be sold out. Hi Kristine! I simply love this outfit and it looks divine on you!! I do have one question…there are two skirts online in this color exactly which brand and style is the skirt you’re wearing? ASOS CURVE Midi pencil skirt in Jersey or the ASOS TALL Midi Pencil Skirt In Jersey? That skirt is amazing !! Love the outfit !! hi,ciao KRIstine…what a beautiful photos and what a look! thi’s a super Look! the blend of colours is so charming…the yellow pencil skirt is absoutely amazing on You…the entire outfit is celebrating Your marvellous Silhouette …what a stunning look! ! ! 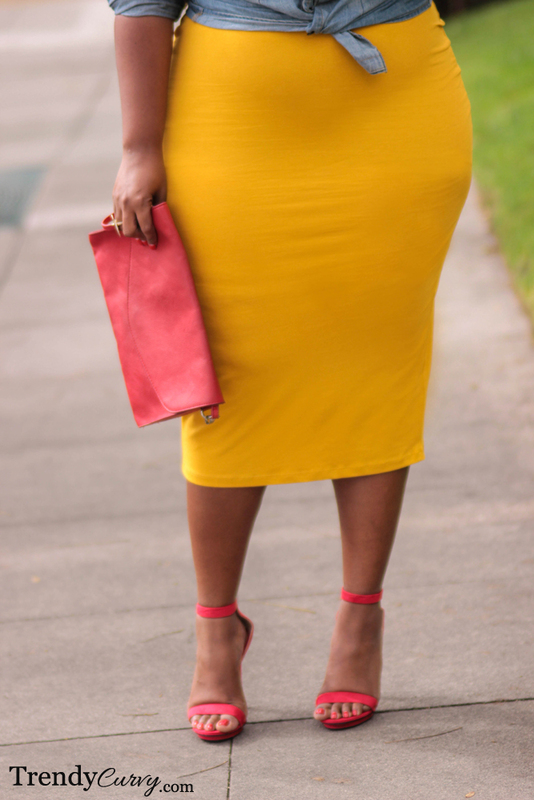 That mustard is devine, the fit & the pop of color is amazing!